Despite the decision to leave the European Union (EU) in 2016, the deadline by which this was supposed to happen has come and gone without the exit actually taking place. This is due to disagreement over the withdrawal agreement. One of the issues which the withdrawal agreement decides is what will happen to UK citizens living in the EU and vice versa. While this topic has been explored in various ways, there is one aspect that has not received as much attention as it should have. The managing director of MasterDrive, Eugene Herbert, says driving in each of these regions can be impacted for both UK and EU drivers, as well as South African drivers living in these areas. 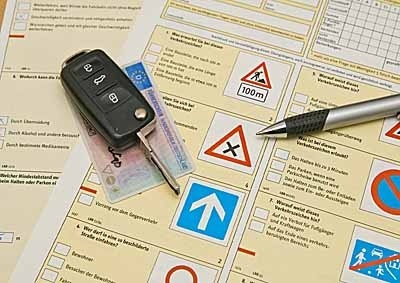 "Once the withdrawal takes place, there will be new rules stating that drivers from the UK may need a different international driving permit (IDP) to drive in the EU. "If no agreement is reached by the new date, 22 May 2019, a no-deal exit could take place. In this instance, UK drivers may also need extra documentation to drive in the EU and EEA. For businesses that have busses and goods vehicles driving in either region, additional guidance has been issued on this as well," explains Herbert. UK vehicles may need an insurance green card and some EU countries may need proof that trailers are also insured.If a UK driver is involved in a collision with someone from the EU who is not insured or is untraceable, there may be no recourse for them to receive compensation. South Africans living in either area, should act now to avoid unnecessary admin and complications, should there be a no-deal exit. “Depending on the license you currently have, Brexit can have a considerable affect on the legality of your license in the EU. The sooner you investigate how it will affect you and plan for it, the better,” advises Herbert.